From the 1955 Fortune 500 list, only 71 companies still have their doors open for business. Given the status and entrenched success that goes with being listed in the Fortune 500, that is an alarming attrition rate. Big companies fail. Tomorrow’s Retail – Available Today! Fly Emirates: How an Airline gets it right in all but one thing. Microsoft has a new logo – how much do you care? Genyses along with the Economist Intelligence Unit have compiled and excellent report on the importance of making closer connections with customers a C-Suite priority. They sight several challenges which are listed below. They’ve also created a infographic depicting the findings. In the search for logic: Please help. 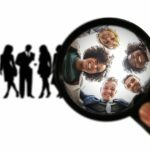 Selling to Generation X: you must connect to their families – in their way! Is This Simply Behavioural Economics or is Trust the Issue, or Both? How much time do you spend on Social Media? Probably not enough! Is this a Vodacom / MTN dirty little secret? What makes some retailers successful while others fail? The answer of course has many reasons but one key word that successful ones are associated with is “trust” Top retailers want to be trusted and therefore place a premium on it. How important is it for businesses to retain customers? There is no doubt that the closer top management is to the customer, the more successful an organization is likely to be. Customer experience has long been mooted as the next battleground where competitive advantage will be won or lost. 1Time Airlines Encourage Customers To Use Other Carriers! TomorrowToday SA – why we M&A’d our blog? The Silver Tsunami – Baby boomers are responsible for more than 40 percent of retail spending, companies need to pay attention to this. Herding Cats: Building customer partnerships, not customer loyalty. I’m busy reading my advanced copy of Delivering Happiness by Tony Hsieh the CEO of the brilliant Zappos. In 1999, at the age of 24, Tony Hsieh (pronounced Shay) sold LinkExchange, the company he co-founded, to Microsoft for $265 million. Why do corporates act like machines when dealing with clients? British Airways cabin crew on strike – how to strike back!